There’s too many articles out there talking about keeping accessories cheap, colourful and in abundance. While it’s a fast and easy way to transform outfits, I also believe there are certain staple accessories worth the splurge. 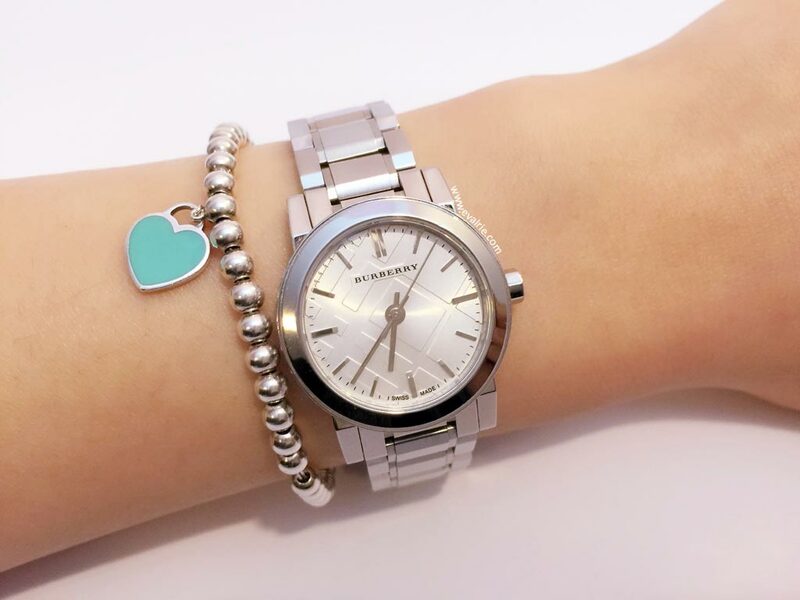 Being a working girl, I keep my accessories to a minimum; they need to be classic, functional, have sentimental value, or all of the above. Like most people, my first instinct is to whip out a phone to check everything from 9Gag to Facebook to time for lunch. It’s a relationship my boyfriend could be jealous of. While smartphone checking might be frowned upon in a meeting, a quick glance at a watch is acceptable, subtle, and a good hint to suggest that the meeting is going way overtime. A lot of thought went into buying my watch. I wanted it to be stylish, practical, and appropriately sized for my minuscule wrists. It must be something that takes me from day to night, but not so precious that it’s constantly at the perils of my clumsiness. 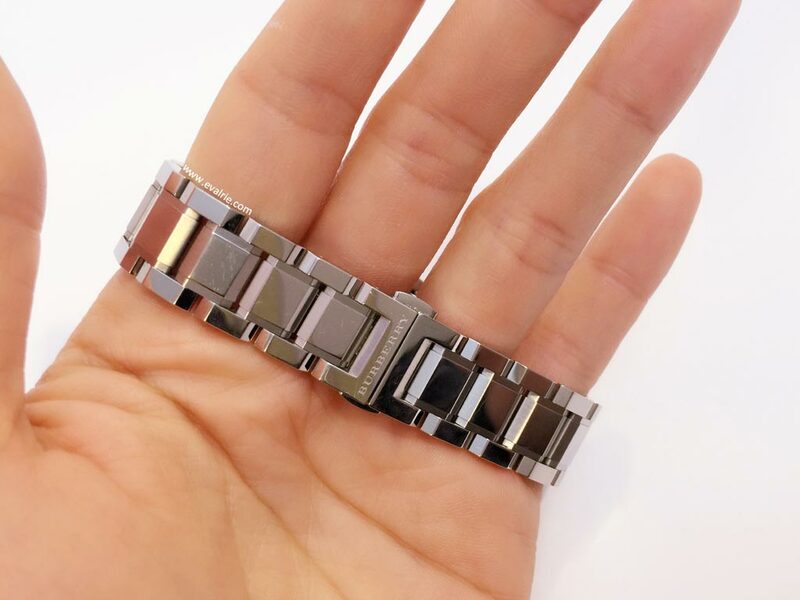 Here’s my Burberry City (BU9200) that I bought from Regal Watches & Jewellery in Sydney, where they seem to have a permanent 20% sale on. It ticked all the boxes and I love everything from it’s 26mm minimalistic face to the faceted straps that catches the light. It’s also encased in 50m water resistant stainless steel (although I would still take it off before washing the dishes!) 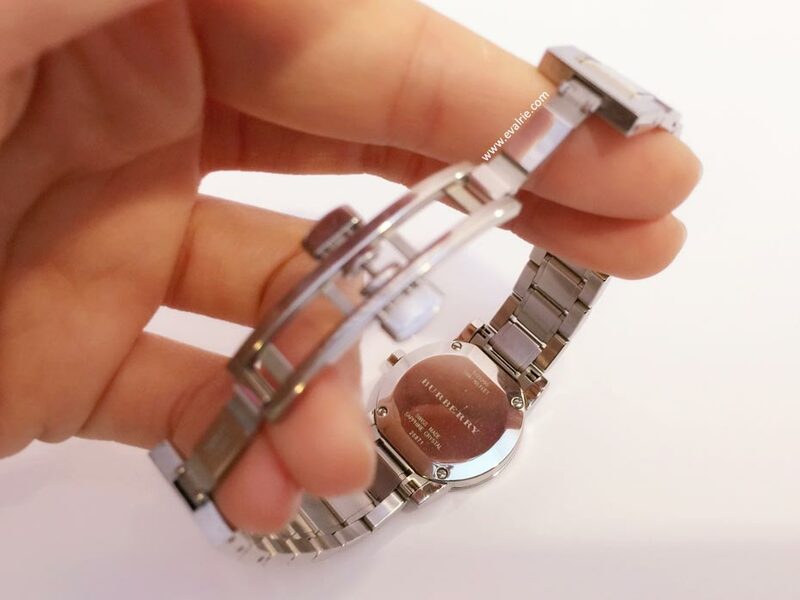 with Swiss-made Quartz movement, and of course, Burberry stamped all over (just to indulge my brand-loving side). If I had to nit-pick, I do wish for a date dial as well (only on 34mm+), but any on-the-ball girl should know what date it is today, right? 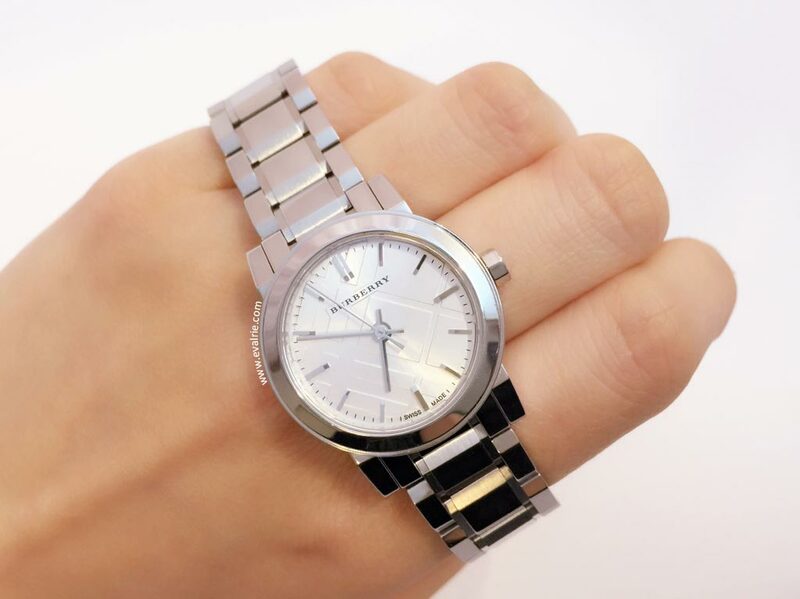 Burberry has a whole range of these City watches (at time of writing, the BU9200 was sold out on their Australian site). 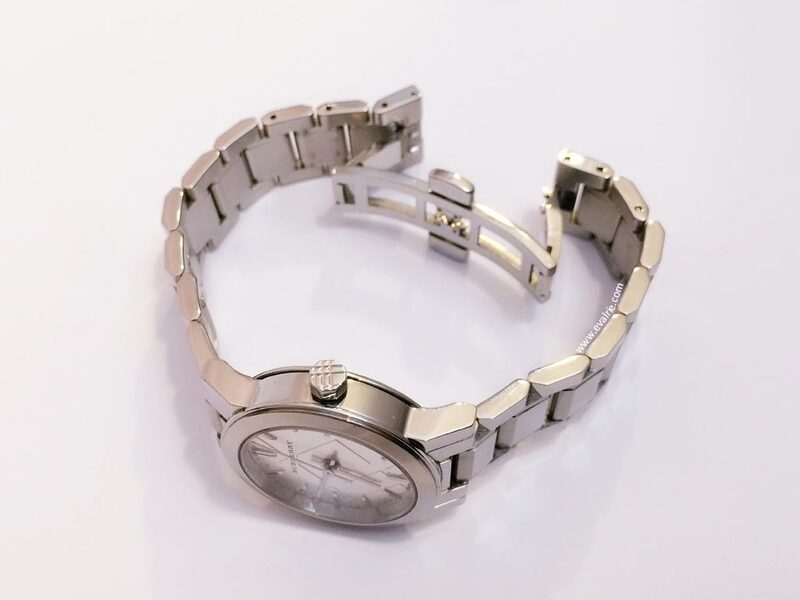 They range from 26mm to 38mm, including stainless steel and canvas/leather straps, as well as all the embellishments you could eat want (diamonds, mother-of-pearl, date dial, chronograph, etc). Personally, I found the bigger sized watches with the plain faces were, well…a bit plain. For mens’ watches, I like the look of a chronograph or a black dial. A stainless steel band is a must too, as leather and canvas wears out much faster and easily shows age, although it’s a lot easier to see scratches on steel bands. I’ve now had my City watch for about a year, wear it almost every day for work, and it’s still running as good as new. There’s a few scratches on the band – mostly around the clasp – but nothing that overly bothers me. It comes with 6 removable links, of which I had to get 3 taken out, and has a deployment buckle that closes with a satisfying click. There’s definitely an abundance of choice with watches out there, and I’m already on the hunt for my next watch – a gold one to match outfits with! And any ideas for my next gold one? 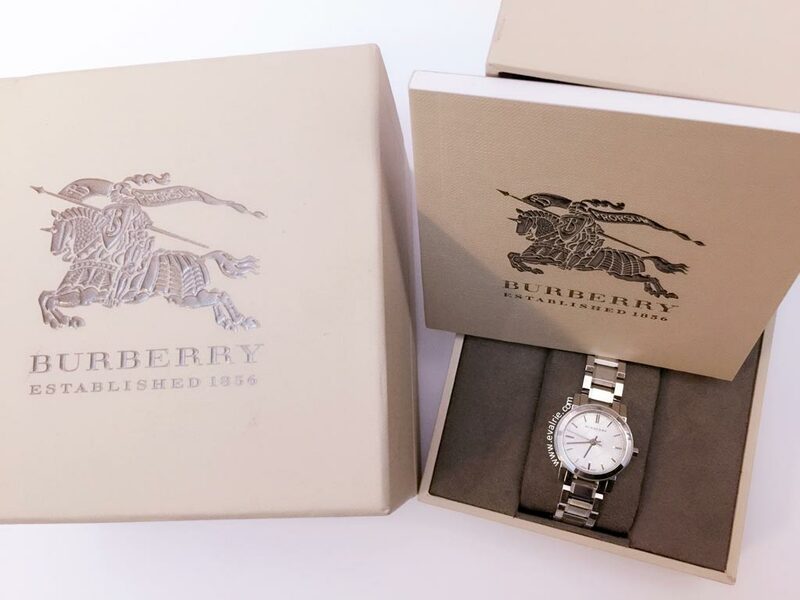 This entry was posted in Fashion, Reviews and tagged accessories, Burberry, reviews.